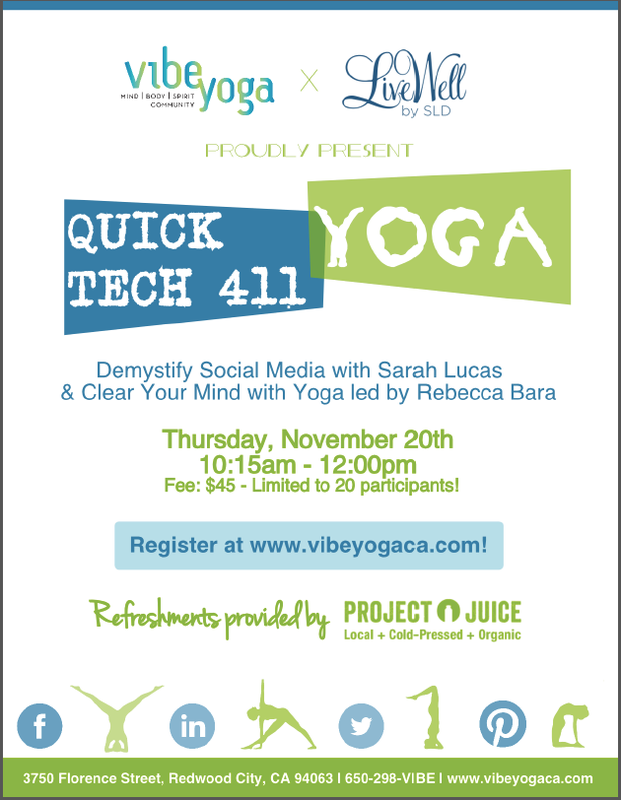 On November 20th join us for a little social media, juice and yoga-at the gorgeous vibe yoga studio! We’ll run through Instagram, Facebook, Twitter and Snapchat then clear our minds with restorative yoga! This quick class is perfect for anyone interested in incorporating social media into their life or simply understanding the landscape in order to ensure safe on-line social practices. You’ll leave feeling relaxed, refreshed and empowered! The vibe yoga website contains the info about the workshop as well as the link in to MindBody to register.